Imogen's Typewriter. : My Christmas Wishlist! I did a Christmas Wishlist last year for Blogmas Day 1 that you can check out here and I thought I'd do another one this year on the same day! It's nice to have traditions. I have an Amazon wishlist like everybody else but these are the not-books in my letter to Santa. It's a pretty short list since I don't really need anything but it's fun to do. Another thing I'm asking that I asked for last year are the Whittard Teas because they just taste so good! To drink said tea, I'd love a Night Vale mug! Be it the classic Night Vale Community Radio one or the new Moonlite All-Nite Diner one! I love this podcast, I've talked about it before here and here and I love mugs! 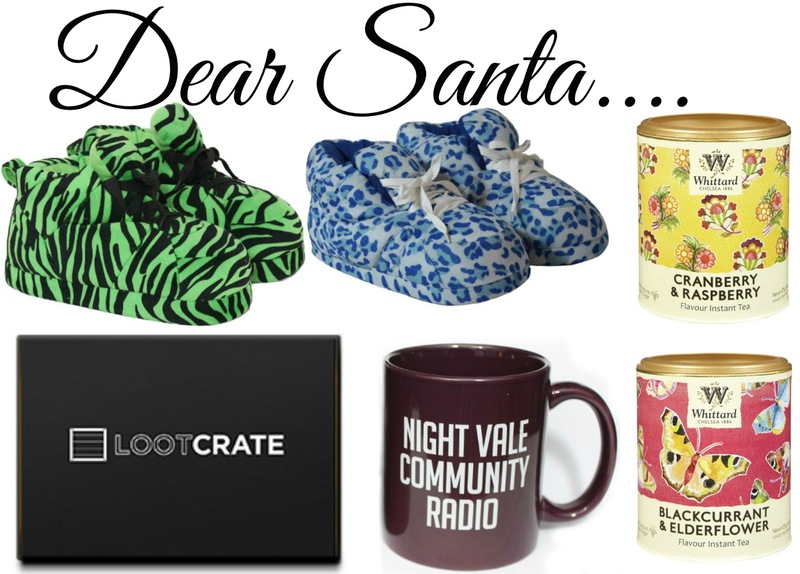 A Loot Crate subscription is also on the list. 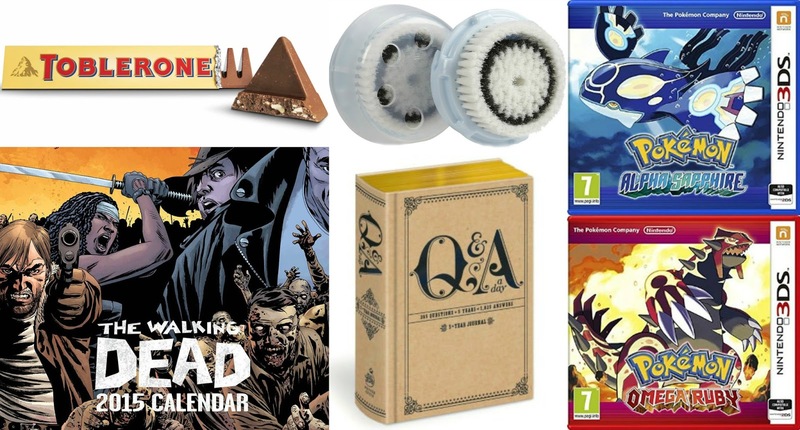 I love Loot Crate, I've done a couple reviews on the blog and I love it but I just don't have the income to have £18 a month coming out of my bank account. Although I may have just ordered Decembers box because it looks neat. Loot Crate is like Christmas once a month anyway! And of course a Toblerone, it wouldn't be Christmas without a Toblerone. Something I also need desperately is a new head for my Clarisonic and I found this Delicate Brush Head Twin Pack on Amazon that is perfect! New releases Pokémon Alpha Sapphire and Pokémon Omega Ruby both look neat too. I have Pokémon X and really enjoy it and I'm looking forward to seeing what is coming next from the Pokémon world. I still have to finish Yellow for my 30 before 30 but this is good practice! Or should I wait until I complete X? And finally a calendar, I have my eye on this Walking Dead one for my month by month and I also saw a German phrase-a-day one at my local garden centre that I think would be neat as I try and up my language skills! I've also been looking at this Q&A a Day: 5 Year Journal for a while and I think it would be cool as I love looking back on how things change over the years!